My sister lost her first husband, Carl, in the month of April (1984), only 3 years after they were married. He was involved in a truck-train collision, and left my sister with a 2-year-old son and a newborn daughter. It was devastating to her, and to our entire family. Ironically, the month of APRIL is known as Worldwide Bereaved Spouses Awareness Month. For years, I never wanted to talk to my sister about her first husband. I was afraid it would cause her to be too depressed and I wanted to spare her that hurt. But, I have since learned, sometimes, a bereaved spouse NEEDS to talk about their loved one. They need to remember the good times, and want others to share their good memories as well. I recently found a website about BEREAVEMENT AWARENESS. Here is the description on the website for Bereaved Spouses Awareness Month: The Bereaved Spouses Awareness Month's purpose is to promote support for bereaved spouses. Often people don't know what to say to or do for grieving spouses. So sometimes, they turn away and do nothing. We encourage people to turn back and begin to reach out to bereaved spouses by giving them someone who will listen to them without advising them; a shoulder to cry on; and a hug when appropriate and needed. Basically, we want to inspire people to "be there" for the bereaved. The website gives suggestions on reaching out to help the bereaved. If you know someone who has lost a spouse (and, I think we ALL do! 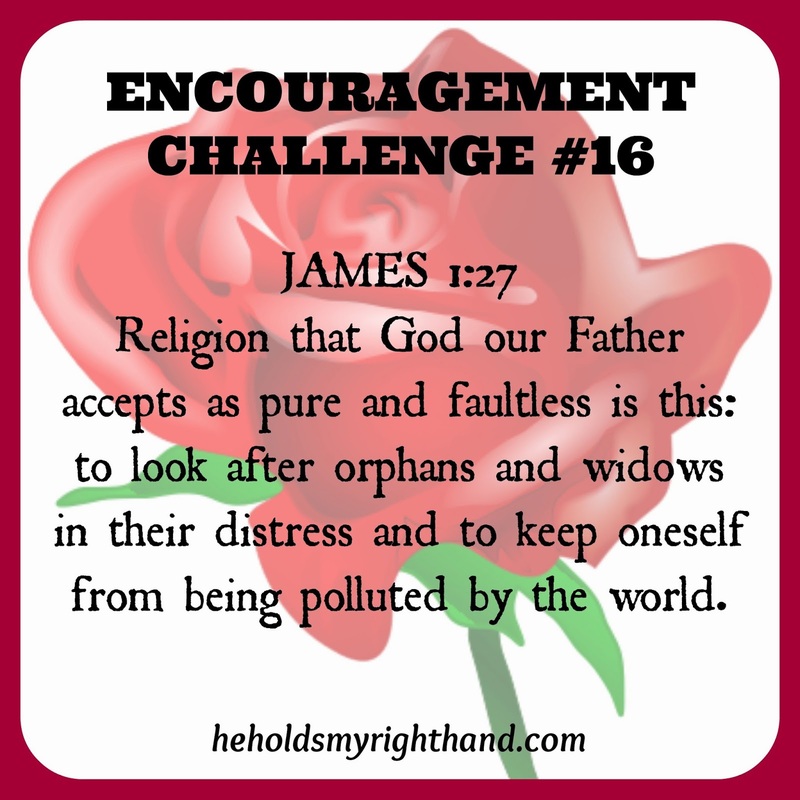 ), please choose one of these suggestions for this week's ENCOURAGEMENT CHALLENGE. Be available to them through a visit in person, by phone, and/or by mail. Send them a card telling them you are thinking of them. Listen to them, as they need to talk about the person who died. Let them cry if they need to. Include the griever in your life. Invite him/her to join you for meals, special occasions, church, etc. Show your love with a touch on the shoulder, a warm hand shake or a hug. The best thing to say is "I'm sorry for your loss." If you knew the person who died, share a memory or a heartfelt compliment about him. Offer to pray with them. Have a good week as you serve the Lord through the gift of encouragement. NOTE: On Thursday morning, I will be sharing some special memories my family and I have about Carl. So, please check in again then.